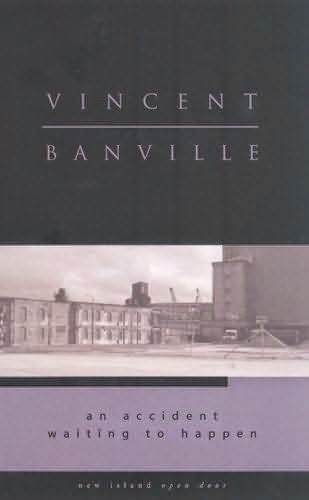 Wexford-born writer Vincent Banville's first novel, An End to Flight (1973), was originally published under the pen name Vincent Lawrence. It follows an Irish protagonist through the Nigerian civil war, also known as the Biafran war. Banville himself taught in Nigeria for five years. Crime novels under his own name include the "John Blaine" private detective series: Death by Design (1993), Death of the Pale Rider (1995), Cannon Law (2002), Sad Song (2008), and An Accident Waiting to Happen (2009). They are mostly set in Dublin. He has also published four books in The Hennessy series for children. He lives in Dublin. His brother is Booker Prize-winner John Banville, aka Benjamin Black.